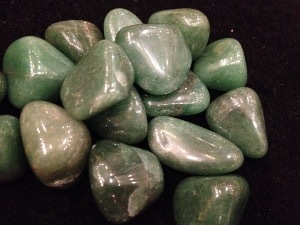 Aventurine is a member of the Quartz family, a silicon dioxide mineral. It’s structure is hexagonal (trigonal) and is crypto-crystalline. Its name is derived from the Italian a Ventura, a type of glass discovered around the year 1700. 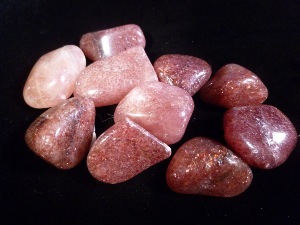 The name was chosen because of the likeness of the glass with its randomly spaced iridescent sparkles to these stones with their similar markings. 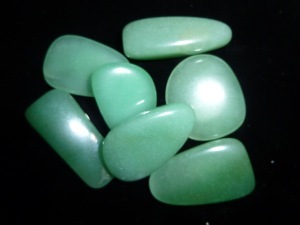 Aventurine is found primarily in three colours green, blue, and red-brown. 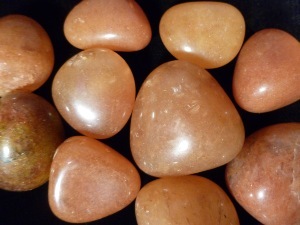 The colour of Green Aventurine comes from microscopic Fuchsite particles within the Quartz, and the colour of Red Aventurine comes form inclusions of Hematite. 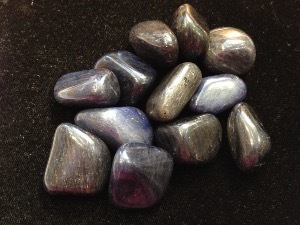 Blue Aventurine is coloured by inclusions of cooper silicates. 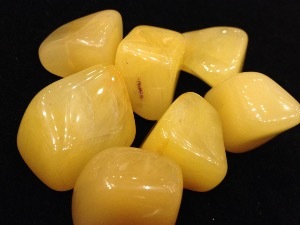 Major deposits of Aventurine are found in Brazil, India, and Russia.